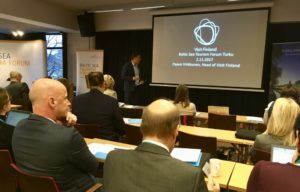 Networking, learning and discussing the future of Baltic Sea tourism with stakeholders from around the Baltic Sea – this was the objective of the 10th Baltic Sea Tourism Forum (BSTF) in Turku, Finland (2-3 November 2017). 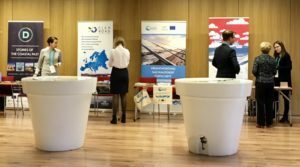 This year’s central topics presented in a plenum and further discussed in parallel sessions included sustainability, digitalization and tourism funding and cooperation. 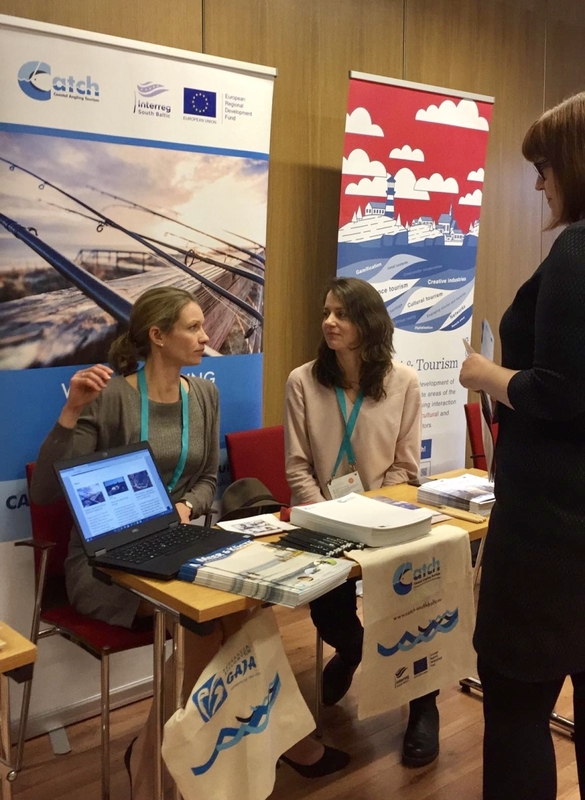 CATCH was represented by the University of Rostock (Germany) and Nida Culture and Tourism Information Centre „Agila“ (Lithuania). The project contributed with the topic of sustainable coastal angling tourism by giving a presentation during the project pitching session and by offering information about project activities to interested parties at a stand in the Networking Village. A medieval social event at Turku Castle took conference guests on a journey back to 1562 with stories and music from previous times.